In the coming years IoT solutions will be exploding. This is not only driven by the demand side (increasing the competitiveness of companies, managing labor shortages, etc. ), but also new technological opportunities. Among these, the role of the Narrowband IoT (NB-IoT) mobile communication technology is essential. Compared to today's mobile communication technologies, this has many advantages, but the most important is the much better energy efficiency. This makes it possible to develop IoT solutions that can run on battery for years, so the cost of system deployment and operation dramatically decreases compared to today's 2G / 3G solutions, and many solutions are just becoming feasible due to NB-IoT. 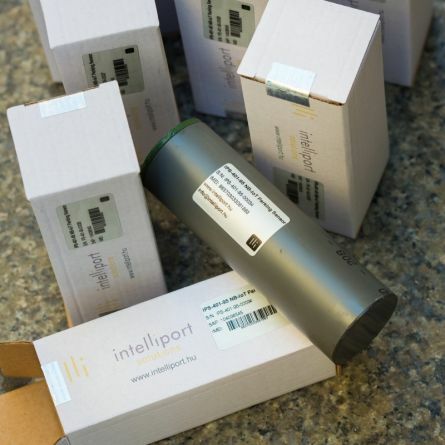 Intelliport was among the first developers worldwide who started to deal with this new technology. Today, after a full year of test and pilot period operating under real life conditions, we go to market with our first NB-IoT product. Intelliport NB-IoT Parking Sensor senses the free / busy status of parking lots in real time and transfers the data to navigation and parking management applications. The sensor is robust, weather-resistant and can be operated for at least 5 years. We are proud that Vodafone, an international leader in IoT solutions, has chosen the Intelliport NB-IoT Parking Sensor in the pilot of its complex Smart Parking Solution. Intelliport has created a full portfolio of communication terminals like modem, bridge and routers for professional and industrial users supporting 4G/LTE and LTE450 as part of it. With the Intelliport M2M Platform, any number of Intelliport Routers can be administered and managed in a groups through a single, clear interface. One of the most important supporting solutions of the Smart Grid is the Smart Metering. H-1134 Budapest, Róbert Károly krt. 70-74.